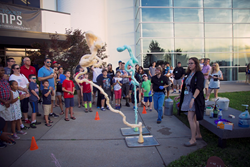 Science Educators Jason and Erin showcase an elephant toothpaste demonstration at Red, White & BOOM in 2017. This July 4, Adventure Science Center invites guests to avoid the hassle of downtown for Red, White & BOOM, a family-friendly celebration, from 7 to 10pm featuring science inspired by our great nation. 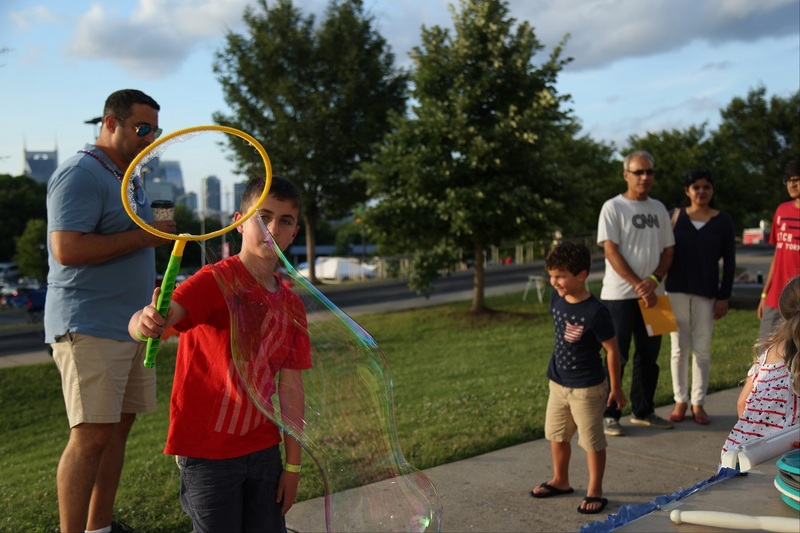 From exciting hands-on activities to incredible live demonstrations, guests can explore all the science center has to offer before settling in to watch Nashville’s iconic fireworks show from the front lawn. In addition to free parking and family fun, delicious food options will be available for purchase from local food vendors Daddy’s Dogs and Doxies’ Pizza, plus refreshing deserts from Ben & Jerry’s. Guests can also choose to bring their own picnics to enjoy on the lawn or indoors in our dining hall located at the front entrance. Tickets cost $25/adult, $15/child for members, and $35/adult, $25/child for non-members. Toddlers under the age of two are free. 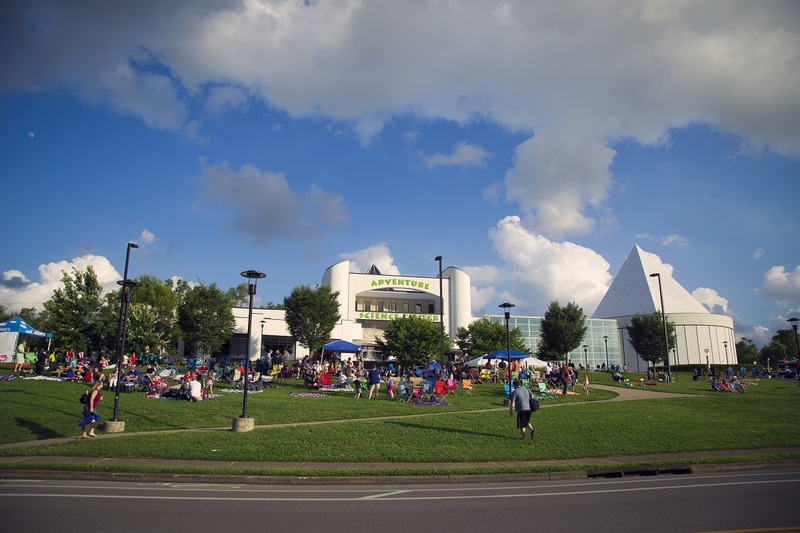 All packages include viewing of the Nashville fireworks from the science center lawn, including a live sound feed of the Nashville Symphony’s accompaniment to the fireworks, free parking, entry to the science center starting at 7pm and access to all live science demonstrations and activities. This evening event is not included with general admission purchases on July 4. Tickets are available at AdventureSci.org/4thofJuly. America the Beautiful - Learn about the physics of sight and depth perception while enjoying stereographs of iconic American landmarks. Yankee Doodle Dandy - Discover how vibrations cause sound by making your own kazoo. We’ll have the music for some your favorite patriotic tunes, too. Rockets’ Red Glare - Explore how angle and force affect the trajectory of a rocket as we launch nonflammable rockets and try to hit targets. Wild Blue Yonder - Imagine the contents of icy moons and comets as we examine our own icy models and try and discover what’s hidden inside. Fireworks Viewers - Learn about what stars are made of as you explore how diffraction grating is used. Guests take home a free pair of diffraction glasses they can use to watch the fireworks show explode in an array of colors. For an additional cost of $4 per person, guests can also add tickets to Sudekum Planetarium’s special presentation, Summer Laze. This collection of summer hits, which includes songs by the Beach Boys, Duran Duran and Katy Perry, will help guests escape the heat with brilliant lasers, stunning, fulldome visuals and immersive surround sound. All shows run approximately 30 minutes with showings available at 7:15, 8:00 and 8:45pm. For more than 70 years, Adventure Science Center has been bringing science to life for students, teachers and families in Middle Tennessee and across the U.S. The Science Center offers engaging learning experiences and science fun through hands-on, interactive exhibits; innovative programs; and fulldome productions in state-of-the-art Sudekum Planetarium. Adventure Science Center strives to open every mind to the wonders of science and technology, fostering a better understanding of ourselves and the world around us. Adventure Science Center is located at 800 Fort Negley Blvd. in Nashville. For more information about the event, visit AdventureSci.org/4thofJuly or call Molly Hornbuckle, Interim Director of Marketing and Communications, at (615) 669-5094. Crowds begin to stake their fireworks viewing spot on Adventure Science Center's front lawn in 2017.Adventure Science Center's incredible view of the downtown Nashville skyline makes it a great spot for families to come view the fireworks show without the hassle of downtown traffic and parking. 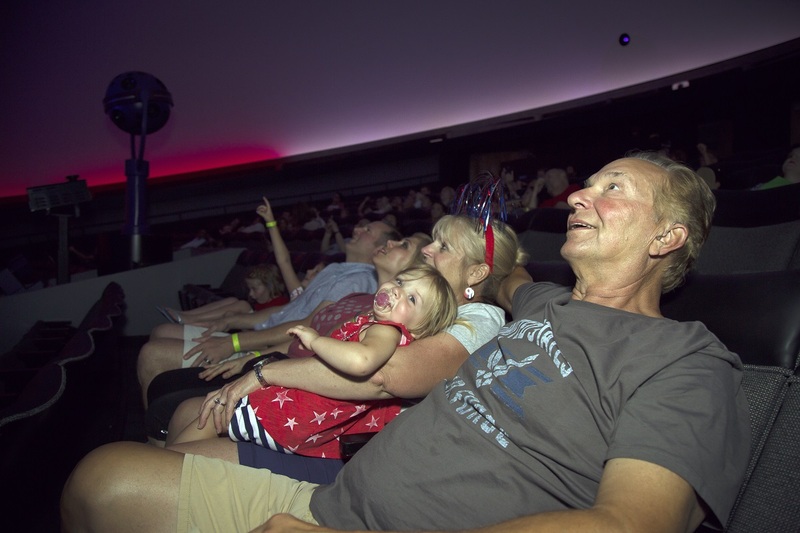 Families wait in anticipation for Sudekum Planetarium's presentation of Summer Laze, a music laser show featuring summer hits.Guests can opt to add-on a laser show in the Sudekum Planetarium for just $4 per person. 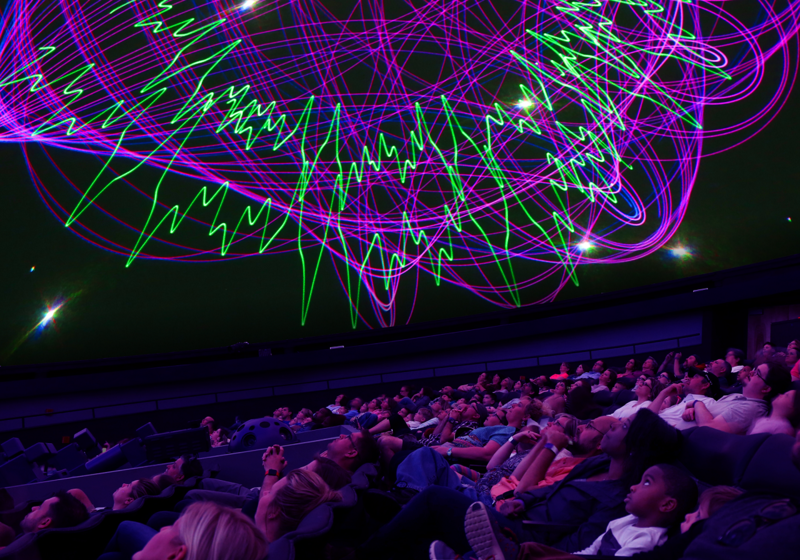 Laser Shows in the Sudekum Planetarium combine brilliant lasers, fulldome digital imagery, and surround sound to create a fully immersive journey through music.Laser Shows in the Sudekum Planetarium combine brilliant lasers, fulldome digital imagery, and surround sound to create a fully immersive journey through music. Boy explores how to make the best bubbles with a little help from chemistry.Adventure Science Center's Red, White & BOOM event offers guests the opportunity to explore patriotic-themed science through engaging, hands-on activities.